These are the brands we sell. We have longstanding relationships with all of them. This means we can get you the machines and parts you need when you need them. Click their logo to visit the web site of each brand. Cushman Motor Company in Minneapolis sells commercial grade equipment used by professionals in the street maintenance, grounds maintenance and turf maintenance fields. 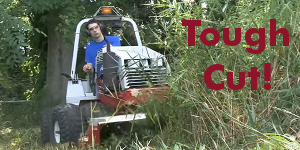 We sell compact tractors made by Ventrac, Holder, Steiner and Holder. We sell utility vehicles and warehouse vehicles made by Cushman, Columbia Parcar, Vantage Vehicle and Westward Go-4. We sell specialized grounds keeping by Ryan and Billy Goat. We sell athletic field paint and field marking systems by Fleet. We sell OEM parts for everything we sell and offer factory trained service on all our equipment. We also sell used equipment made by these manufacturers.